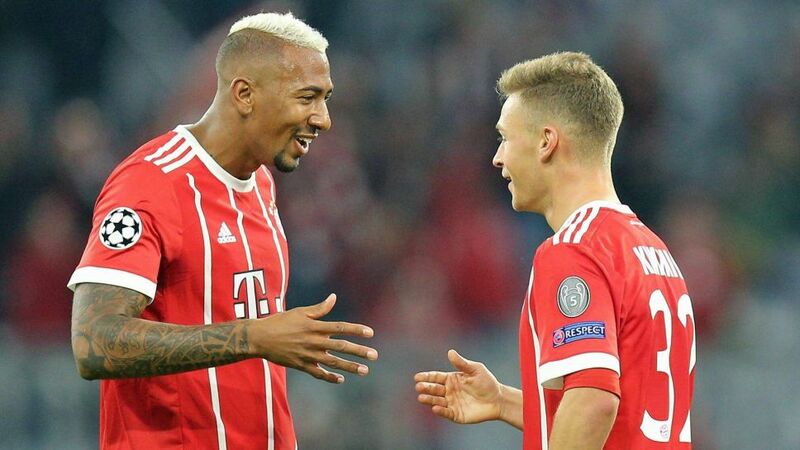 Jerome Boateng celebrated his first appearance since May with an assist in Bayern Munich's UEFA Champions League Group B win over Anderlecht on Tuesday. The 29-year-old, who suffered a thigh injury on the final day of last season, set up Joshua Kimmich for Bayern's third and final goal of the night after coming on as a 77th-minute substitute for Javi Martinez. Robert Lewandowski and Thiago were also on target at the Allianz Arena, while Real Madrid loanee James Rodriguez made his full competitive debut. Bayern face Mainz, Schalke and Wolfsburg in the Bundesliga, before taking on Group B leaders Paris-Saint Germain - 5-0 winners away to Celtic on Matchday 1 - at the Parc des Princes on 27 September.